You’ve probably seen them on Facebook or Instagram; pictures of tanned people typing away on their laptops on a tropical beach, coconut in hand and a serene smile on their face. While these photos are mostly used to induce envy in people who work the 9 to 5, they depict a popular trend in the working world — that of the Digital Nomad. 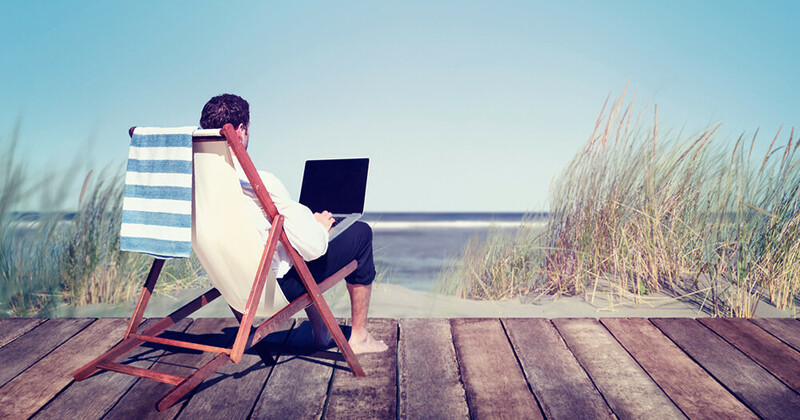 Digital nomads, also known as global nomads, are people who work from their laptops and are location independent, meaning that they can work or study from home, or anywhere they want – as long as they have a decent Wi-Fi connection. Sounds awesome? Well, it is. But what exactly do digital nomads do? And is it just a fad or are they changing the working world as we know it? 1. Who are the nomads? While there aren’t any official figures on the number of digital nomads currently travelling the world, we do know that by 2020 one in three people in the US will be working from home, so the potential for growth is huge. So huge, in fact, that one expert predicts there will be up to 1 billion digital nomads by 2035. This is clearly not a trend that will be disappearing anytime soon. 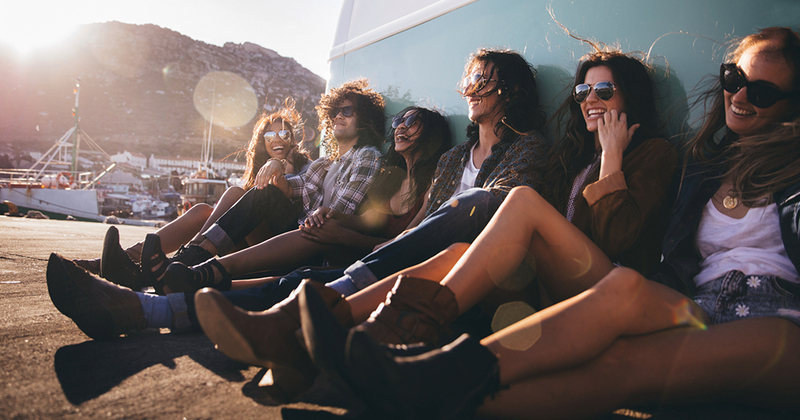 Most of these modern wayfarers are millennials—people born between 1980 and 2000. Fed up with consumerist society and bored of regular 9 to 5 jobs, they value experiences, especially travel, over material possessions. Baby boomers and career changers make up a large portion of the numbers. 2. What are their jobs? Traditionally, remote workers worked in tech areas, such as web development or design. Nowadays, many more careers lend themselves to the digital nomad lifestyle, meaning that writers, translators, social media managers, social entrepreneurs, bloggers, analysts, consultants, and many more can all do their jobs from their laptops with just a Wi-Fi connection. Not all these global nomads are entrepreneurs or self-employed though. Instead, many work corporate jobs, but have the option to work remotely. Many companies are starting to offer remote work as a perk to their employees. 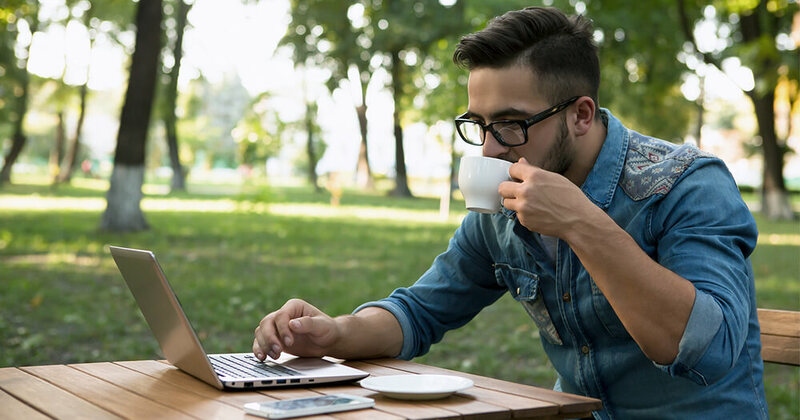 When asked about corporate perks, nearly 70% of millennials said that an option to work remotely would impact their willingness to work for a company. While many digital nomads earn less when they first start out, most still earn their money in a western currency, such as US or Australian dollars, British pounds, or Euros. So, by travelling and living in much cheaper countries like Thailand or Indonesia, they can leverage this strong currency to their advantage. This is not necessarily a reason to become location independent, but it sure is a nice perk of the lifestyle. There are many reasons why people pursue a location independent life, and while wanting to travel is the biggest draw for most, there’s often more to it. Being able to create your own schedule is not only fun and liberating, but can also boost your productivity. In a recent survey, over 30% of remote workers said they were able to achieve more work in less time compared with working in an office. This means they have more free time to focus on travel and passion projects. Workers with creative jobs, like designers, writers or photographers, say that they feel more creative when they are able to travel and choose their perfect working place—be it a beach hut, log cabin or the nearest Starbucks. Chasing perpetual summer is a recurring theme in the digital nomad scene, so, naturally, many people like to travel to South East Asia and South America. Chiang Mai in Thailand and Ubud in Bali have become real hotpots for this lifestyle, but Eastern Europe, Spain and Portugal are also growing in popularity. While the life of a wanderer can be exciting and rewarding, moving around a lot can quickly become quite lonely. Community is a really important aspect, which is why co-working spaces and co-living projects are booming. You can find a wealth of resources for digital nomads and virtual office ideas here. Imagine an open-plan bamboo co-working office in tropical Bali, with communal lunches, yoga lessons and social activities in the evenings; it’s just like a grown-up summer camp. You can even go one step further and join an organised program. Remote Year is a start-up that brings together 75 remote workers from around the world and takes them to 12 different destinations on 3 continents in 12 months. Participants pay $2000 per month in exchange for organised accommodation, a place to work, fast Wi-Fi and, most importantly, a travelling community. The first round of Remote Year received over 25,000 applications, so the demand is already huge. If you want to get even more adventurous you can join Coboat, a co-working and co-living sailboat that is slowly making its way around the world, using solar power and satellites to keep the Wi-Fi on. This option is definitely not for those types of people who are prone to seasickness. As you see, the working world is definitely changing with more people working remotely. Do you think the digital nomad lifestyle could be for you? Let us know in the comments!